My days are running together lately. I’m switching from a graveyard schedule to a days schedule, but only for a few days. So, yesterday (day 18) actually ran into day 19 since I stayed up for 24 hours straight in an attempt to be able to switch around. All it seems to have done is make me really tired so I’m not sure I accomplished my goal. I managed to sleep maybe 6 hours. 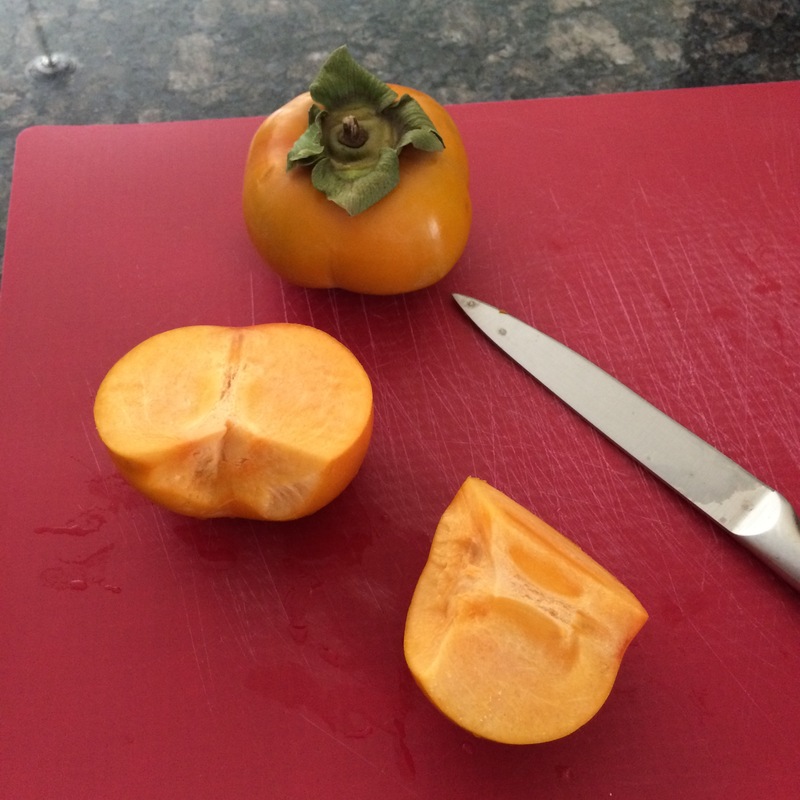 Today is going to be rough, that’s about all I can say….especially since I’m writing this at about 3:30 AM. Such a horrid hour no matter which side of it you’re on. No wonder my body is confused and not working right. 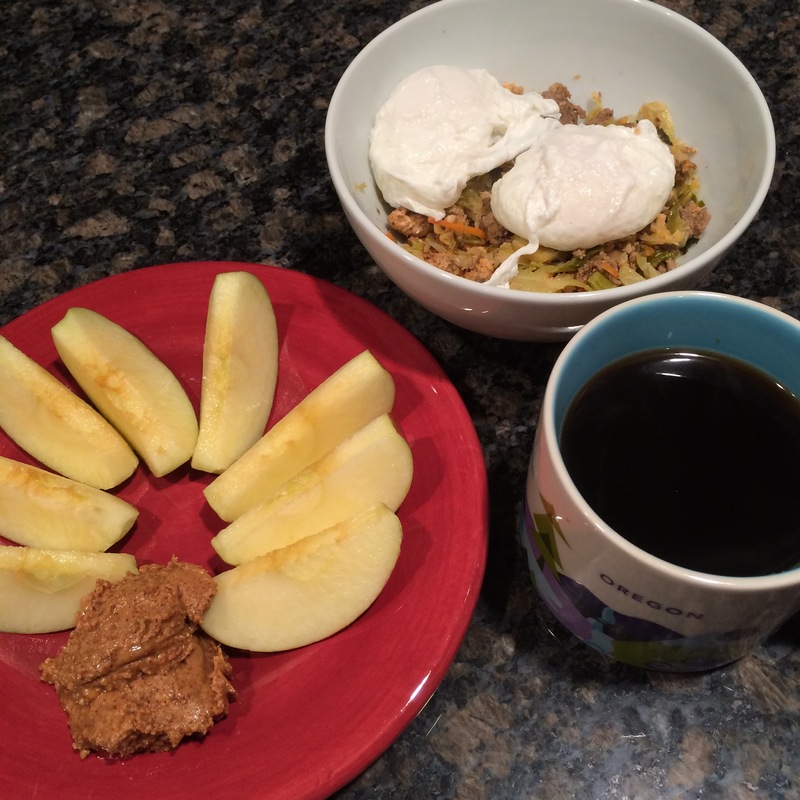 I only managed to eat one meal yesterday but that’s all I was hungry for and had time for. 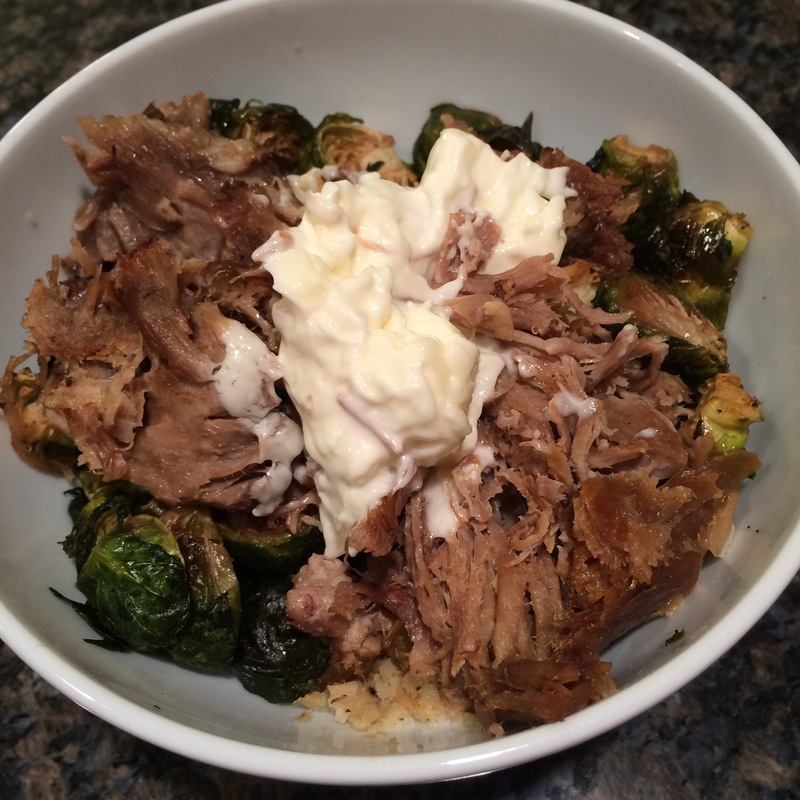 Cauliflower rice, brussels sprouts, kalua pig, and mayo. All mixed together it was really good. I’m starting to like this “kitchen sink” thing. 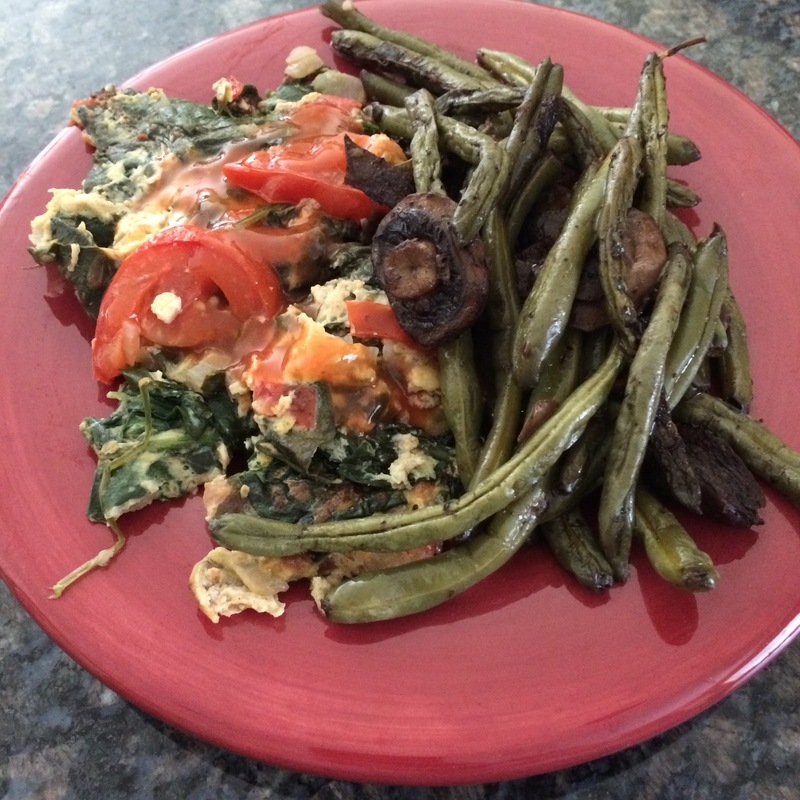 Throw it together and eat it! The next few days are going to be quite challenging for me. Not just because of temptations but because I’m going to be eating meals out rather than having access to my own food. Sounds dangerous. I’m bringing my bag of raw almonds and probably an apple or two because then at least I’ll have something to eat if I need it. Even though it won’t be the correct amounts of proteins and fats etc, at least it’s compliant. Sometimes you gotta do what you gotta do. 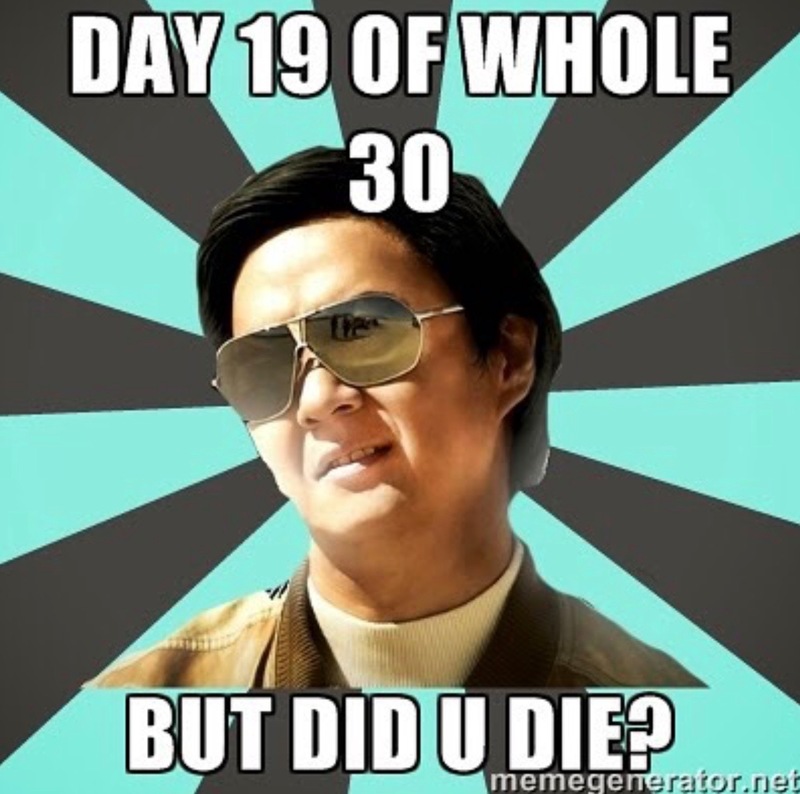 So true Leslie Chan….I did not die!